Whether governor Gavin Newsom—and the Democratic Party establishment generally—can be pressured to lend their support to these efforts remains to be seen. 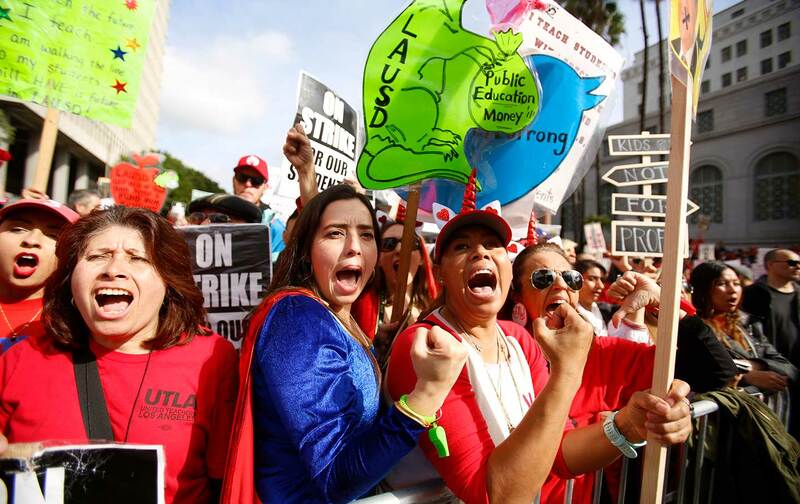 But at least one thing is clear: The spread of teachers’ strikes in the coming months will exacerbate the deepening internal battle between the Democrats’ corporate funders and their pro-labor representatives. Eric BlancFormerly a high-school teacher in the Bay Area, Eric Blanc writes on labor movements past and present. He is the author of Red State Revolt: The Teachers’ Strike Wave and Working-Class Politics (Verso Books, 2019).